My copy of Gran Turismo 4 is not working with the PCSX2 emulator. I've got two hard copies of the game, both of which work on the PS2 console, but none of which really seem to work on the emulator. Both discs are clean. It will make it through the startup screen, display "PLAYSTATION 2", then display the legal warnings, then blackscreen. 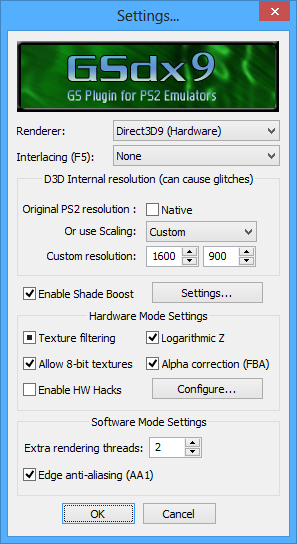 I've gotten the PCSX2 emulator to work with other PS2 games with no problems at all, which is why I can't seem to figure out what's wrong with getting this game to work. Runs other games perfectly, full framerate, etc. I'll play with settings and if I find a fix I'll make sure to post it here, but if there's some sort of patch or plugin I need to play this game I'll need your guys' help with that. I'm sure I'm missing something very simple. Thanks a lot! Why are you using DX9? 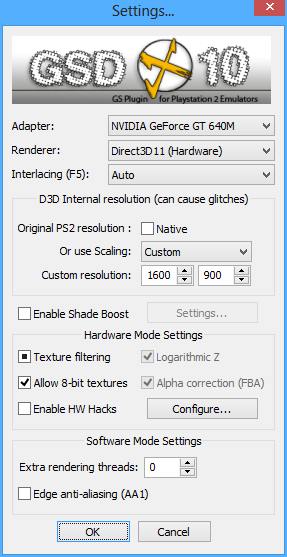 Change renderer to "Direct3d 11 Hardware" and try. have you tried pressing X? (12-08-2013, 02:28 AM)refraction Wrote: have you tried pressing X? Yep, tried to skip the opening sequence with all buttons, didn't work. (12-08-2013, 02:05 AM)Blyss Sarania Wrote: Why are you using DX9? Because that's what I used when I played my last game on it (FFX). Changed it to DX11, no luck. Which version of PCSX2 are you using? This game is known to be playable, so maybe a fresh PCSX2 will do it. If you are playing them from ISO or DVD. (12-08-2013, 03:18 AM)refraction Wrote: [*] If you are playing them from ISO or DVD. That's a pretty important one that OP didn't mention, actually. If you are using a disc, you definitely need to make an ISO of it. It works way better that way. (12-08-2013, 03:18 AM)refraction Wrote: In order to help you further with your problem, please make sure the following are all provided. I bet that's your problem. Go get imgburn and use it to make an ISO of your disc, then run from that. (12-08-2013, 04:03 AM)Blyss Sarania Wrote: I bet that's your problem.